In 1988, after spending four years with Helloween, guitarist and songwriter Kai Hansen decided to leave the band due to, as officially announced, the enormous touring activities of the band. 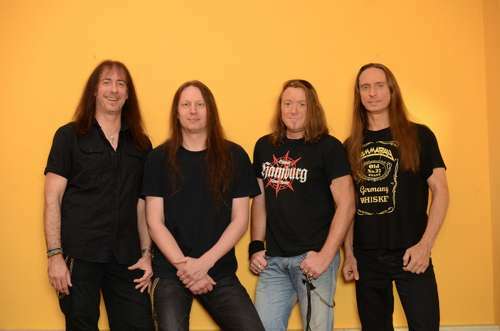 Eventually, Hansen decided to form his own project, with long-time friend Ralf Scheepers (vocals), Uwe Wessel (bass) and Mathias Burchard (drums). 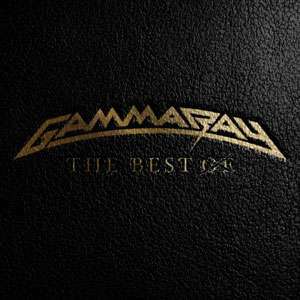 In the beginning of the project Kai did not have the intention to form a new band but as the recordings with the studio-musicians went so well sourrounded by a relaxed atmosphere among the musicians it soon became obvious: Gamma Ray was born. In January 1990 that line-up released the album Heading for Tomorrow, which has reached huge success especially in Germany and in Japan. 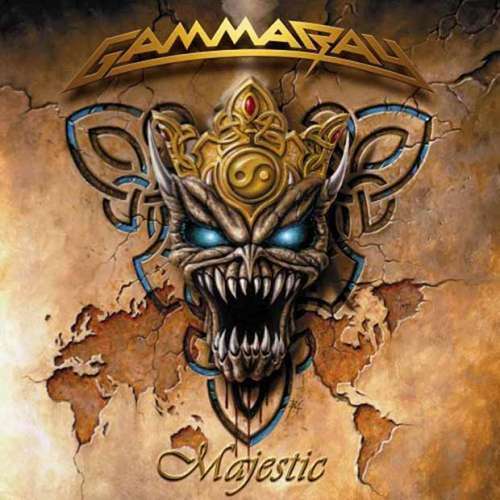 While Helloween changed their style of music a bit finding its creative climax in their album Chameleon, Kai together with his new band Gamma Ray sticked to the kind of music that made Helloween famous that time: melodic and bombastic power metal with positive and critical lyrics, fantastic guitar work and wonderful vocals. 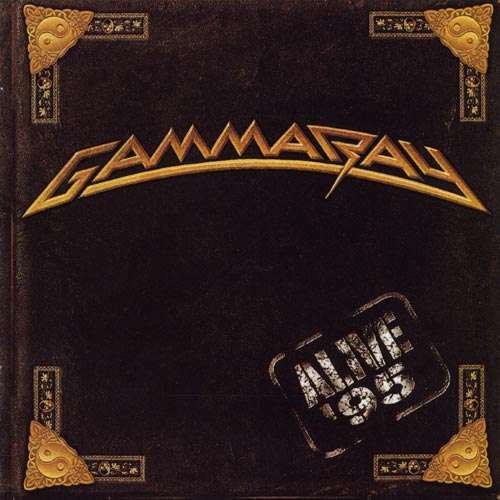 It took some time until Gamma Ray entered the world's stages for the first time because right after the recordings drummer Mathias Burchardt decided to quit as he wanted to concentrate on his studying completely. Finally, a new drummer was found in the person of Uli Kusch (ex-Holy Moses, ex-Helloween, now Masterplan). 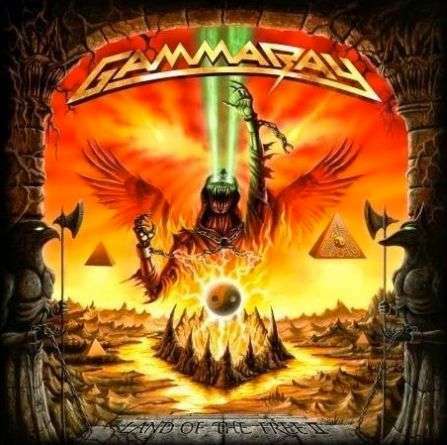 With him, the line-up of Gamma Ray live world premiere was completed: Ralf Scheepers (vocals), Dirk Schlächter (guitar), Uwe Wessel (bass), Uli Kusch (drums) and of course mastermind Kai Hansen (guitars, vocals). Right in time with the tour a new EP called Heaven can wait was released in September 1990, including - beside a re-recorded version of the titletrack - one brand new song called Who do you think you are? and three songs that were left from the Heading for tomorrow recording session. The tour was a big success especially in Japan. As a documentary a live video called Heading for the East was shot during the Tokyo show. In February 1991 the band is rehearsing for the recordings of the second album in a small remoted house in Denmark. 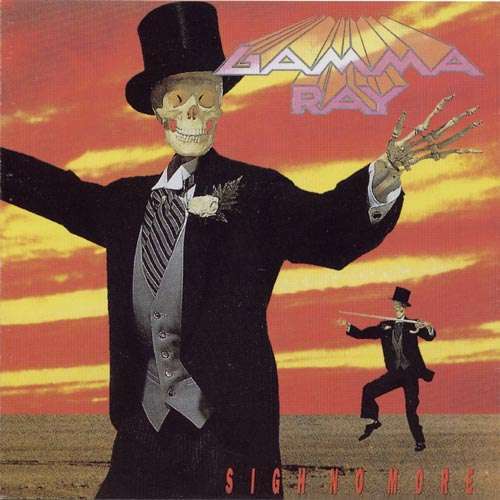 With some brand new songs in their bags Gamma Ray enter the studio under the control of producer Tommy Newton who did a fantastic job on the album called Sigh no more which has been released in September 1991. The style vastly differs from Heading's one, and the lyrics are completely depressive as a result of the Gulf War raging that time. A 50-date worlwide tour followed. 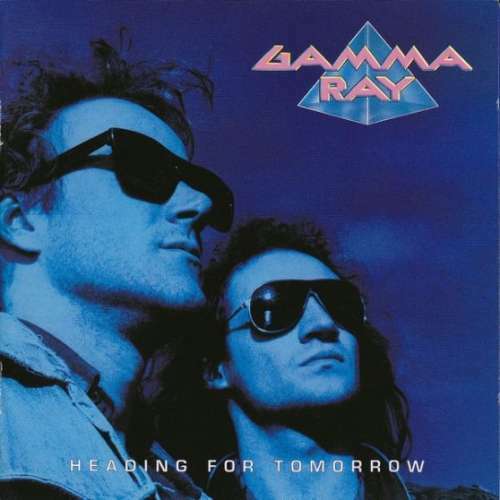 After the japanese tour in the beginning of 1992, Gamma Ray were in the media again. But this time with no good news for the fans: The rhythm section (Uli & Uwe) left because of personnel disagreemant and was replaced by a pretty young rhythm section of one of Hamburgs demobands called Anesthesia, Jan Rubach (bass) and Thomas Nack (drums). Besides, the band began to build their own studio which took quite a while so that the band didn't start the recordings for their new album before 1993. 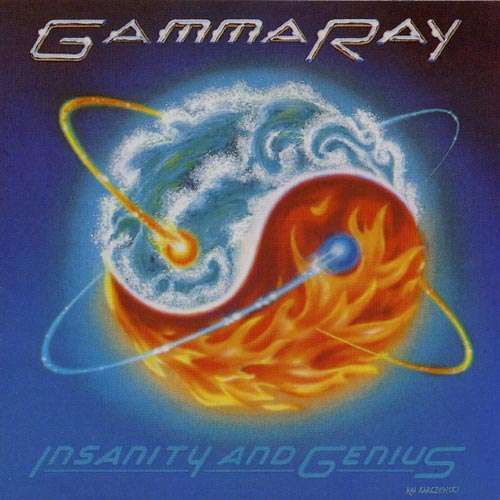 The album called Insanity & Genius finally was released in June 1993. 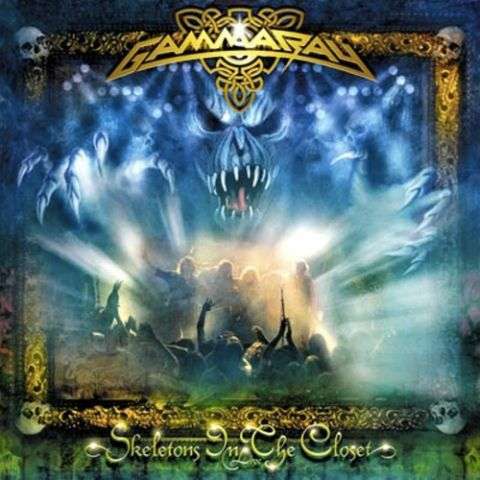 The album's style comes closer to Heading's one again as Kai seemed to realize that the best music he is able to compose is that bombastic speed metal. Insanity & Genius was presented to the fans live on the socalled Melodic Metal strikes back festivals, all in all four shows presenting Helicon, Conception and Rage and Gamma Ray as co-headliners. 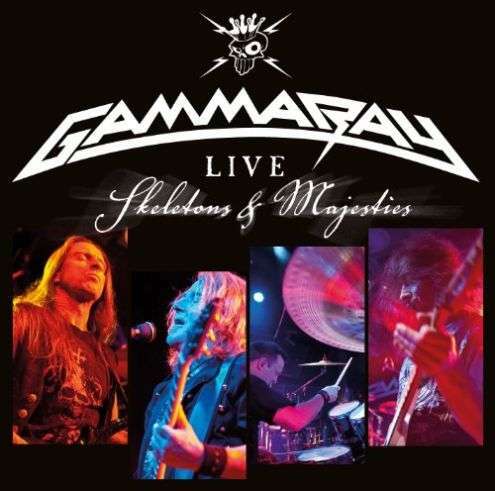 A second live video titled Lust for Live was shot during the show in Hamburg which also has been released as a live CD called The Power of Metal in December. And then a big change! As plans for the band's fourth album came along, Hansen and Schlächter were annoyed by the fact that Scheepers lived such a far way away from Hamburg. This meant that they could only do band rehearsals and such on weekends, and this put a major stopper on things. 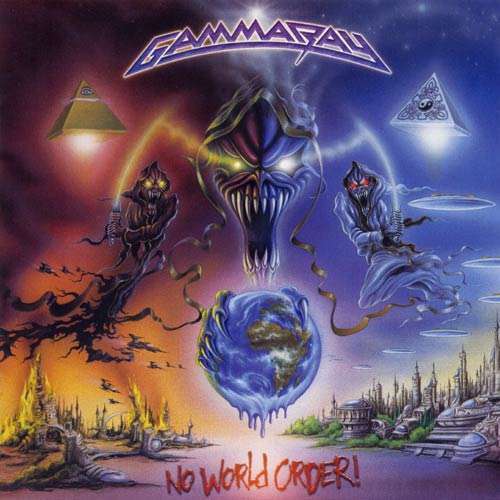 Since Scheepers had auditioned for the job as vocalist for Judas Priest, and his chances at getting the spot were considered pretty good (in the end he was among the last three candidates), Hansen asked him if he really felt that staying with Gamma Ray was the right thing to do. 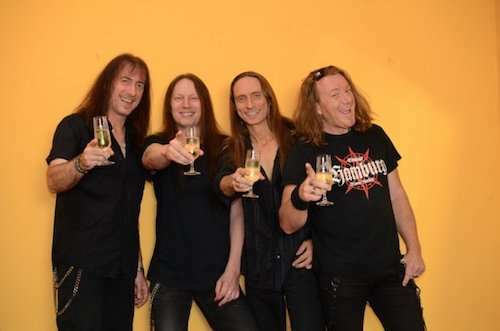 The two decided that it would be for the best if Scheepers left the band, and so, with no hard feelings on either side, Scheepers (today Primal Fear) left Gamma Ray. Hansen then took on the guitar-vocals duties. 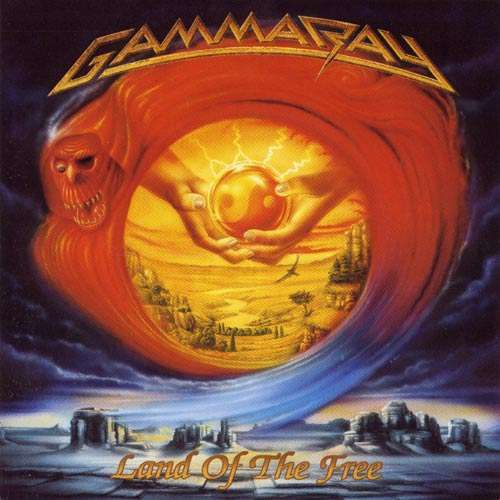 In May 1995 a masterpiece of melodic metal was released: The concept album Land of the Free as a mixture of the bombast of Heading for Tomorrow and the aggressiveness and heavyness of Walls of Jericho. 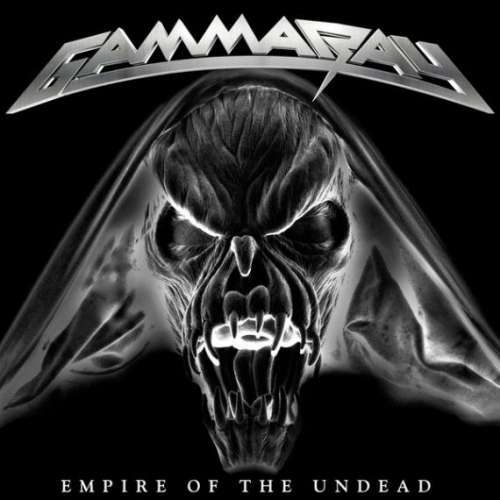 On this album there was again a cooperation with vocalist Michael Kiske who did the vocals for one complete song called Time to break free and the chorus of the title track. Critics around the globe were extatic. Kai and Dirk entrench themselves in their studio again in August to record the EP "Silent Miracles", an EP of four wonderful ballads. Fans say that Kai did his best ever vocal effort on A While in Dreamland, a beautiful ballad with only piano and Kai's voice. As the EP's final mix couldn't be done before the upcoming tour, the release of Silent Miracles was delayed to February 1996. As said, the band left for a long and excessive european tour (Men on a tour) in September turning the venues into party shacks. This was passed on in form of a live CD called Alive '95 released in May 1996. In September 1996 the band haunted Spain again to please the fans with some more gigs together with Stratovarius and Rage. But right before the rehearsals for this tour Jan and Thomas decided to leave the band. Jan did so because Dirk wanted to return to bass (originally he was a bass player) by all means. There were thoughts that Jan could change to guitar as he himself always wanted to play the guitar in a band. But somehow he didn't dare and left. So did Thomas because he completely wanted to concentrate himself on another music project he was running for quite a while. It was kind of Thomas still to drum the spanish tour in contrast to Jan who had to be replaced by guitarist Henjo Richter. The songwriting for the new album began in late 1996 with just Dirk and Kai in the band and it took them until February 1997 to find two new members: In the person of Daniel Zimmermann they found the best drummer they ever had. Henjo Richter was engaged as guitarist, a job he had already done very well on the spanish tour the year before. 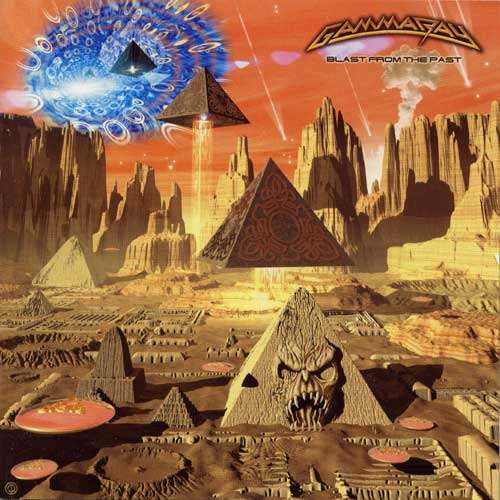 The ultimate Gamma Ray, and still current, line-up was formed. With the new line-up completed again the band started the recordings for the new album in March 1997. 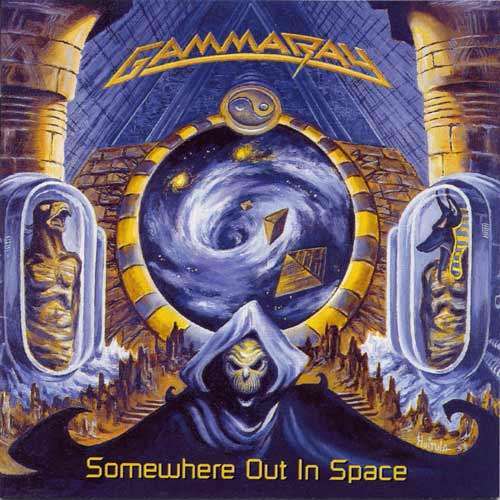 The EP Valley of The Kings was released in May and Somewhere Out In Space, which started the band's facination with space, was released end of August . 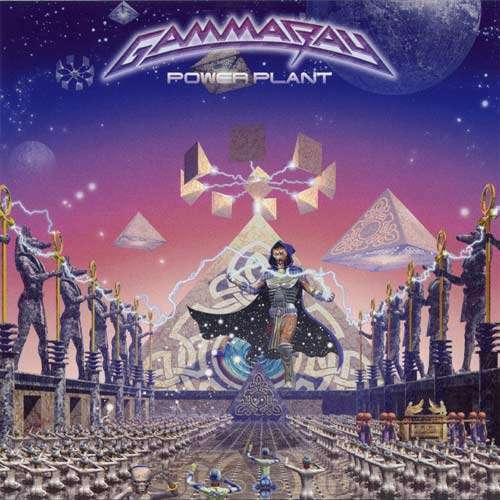 After two years of touring (Support Hammerfall & Jag Panzer) came the album Power Plant, which was a continuity to Somewhere Out In Space's lyrical approach, but a new direction musically. The album was highly acclaimed throughout the world. The time came for a "Best Of..." album, and Hansen decided to do things differently; The band went back to the studio to re-record old classics. Blast from the Past was the name chosen for the album. The band then proceeded to the recording of its next album, rumored to be classic-sounded like bands such as Iron Maiden and Judas Priest, before taking a year off. After the break the band was ready for the recording and release of the album No World Order, with a lot of heavy riffs like classic 80's band, just as rumored. Yet again the album was highly praised. The No Order World Tour saw the band visiting dozens of countries throughtout Europe, and a few gigs in Japan. After resting from the tour, the band went on with the Skeleton in the Closet tour which saw the band performing songs that they never or rarely played live before. The setlist was voted by the fans on the band's website. Only a few shows were played but two of those (Barcelona and Strasbourg) were recorded for the live album Skeletons in the Closet, their finest live album to date. Axel Mackenrott (Masterplan) was hired for this tour as keyboard-player. The band's latest tour featured them as openers for the first 10 gigs of Iron Maiden's European leg. 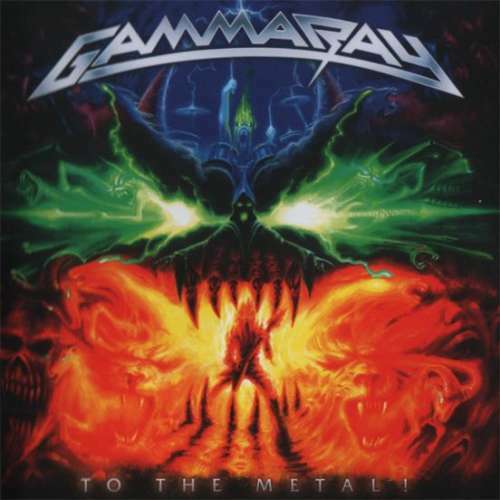 Gamma Ray named that leg Rayzin' Hell With The Beast, and it gave them even much exposure to new fans. In early 2004 the band started composing demo material for the new album and finally found itself back in the studio in September to start the recordings of 11 songs, that in contrast to the last two albums, show more complexity and bombast again. The work on Majestic finally was completed in May 2005 and its release was scheduled for September, 23th 2005. In between the band showed up on three summer festivals (Bang Your Head, Tuska and Monsters Of Rock) to show the public that they are still alive. A regular european tour will follow seeing Nocturnal Rites & Powerwolf as support-acts.